Dharma is roughly translated as "religious duty." There are two principle dharmas, namely sanatana-dharma and varnashrama-dharma. There are also general moral codes calledsadharana-dharma . According to the notion of sanatana­dharma, religion is not confined to a particular race or country. Here two white, British-born Hindus get married, thus entering the second stage of life according to the system of varnashrama-dharma. This second ashram brings greater social and spiritual responsibilities. Varnashrama-dharma defines duties for the individual, classified according to four divisions of labour and four stages in life. These specific duties change, for example as one passes through the different ashrams. 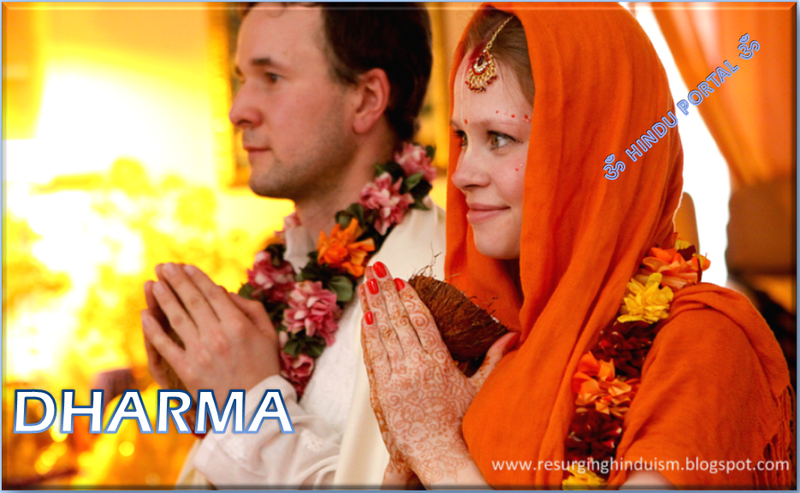 Varnashrama-dharma is the basis for accommodating diversity, and attributing different social and spiritual standards to various sections of society. Although varnashrama-dharma relates largely to social matters, it is not divorced from sanatana-dharma but is a means of recognising a common goal approached from different starting points. Some Hindu thinkers consider that the current, rigid caste system is a result of neglecting the principle of spiritual equality inherent in sanatana-dharma.Sanatana-dharma refers to the soul's never-ending propensity to serve God. 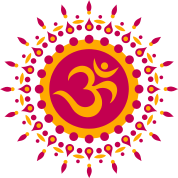 The concept of sanatana-dharma underpins the Hindus' more inclusive approach towards life and "other religions." It is the basis for issues of equality, and tends to relate to overtly spiritual matters (e.g. worship). Sadharana-dharma, general morality, is often defined according to prohibitions (yama) and recommended practices (niyama). Hindu opinion varies as to the exact number of each. In practical terms, dharma refers to leading a righteous life in harmony with natural laws as defined in scripture. In pre-modern, rural India, this was regulated through stable, sustainable lifestyles and traditional norms of behaviour. Today, with emigration and globalisation, it is far more difficult for Hindus to discern what practices are consistent withdharma. They find themselves facing situations and moral dilemmas not directly mentioned in scripture, and must re-evaluate what practical behaviour constitutes righteous living. Significant emphasis is placed on personal responsibility. This contrasts with the current world trend towards individual rights. 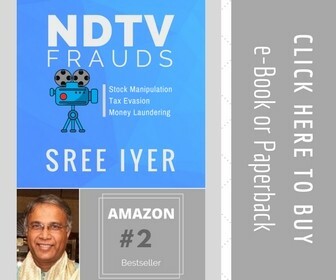 The Vedic (Hindu) view is that execution of one's duties automatically fulfills the rights of others, and that stressing dharma fosters a climate of social and spiritual responsibility. The Hindus acknowledgement of interdependence thus differs from the individualistic, self-centred approach to life.